The U.S. Environmental Protection Agency’s proposed mercury standards for power plants are a major step in reversing the contamination of New York’s lakes, particularly in the Adirondacks. In response to a court-ordered deadline, the EPA has proposed the first-ever national standards for mercury, arsenic and other toxic air pollution from power plants. The new standards would require many power plants to install state-of-the-art pollution control technologies to cut harmful emissions of mercury, arsenic, chromium, nickel and gases that cause acid rain and smog. 1,350 coal and oil-fired units at 525 power plants emitting mercury, arsenic, other toxic metals, acid gases, and organic air toxics including dioxin. The proposed standard is the result of a 2008 U.S. Court of Appeals decision that threw out EPA’s Clean Air Mercury Rule (CAMR), a cap-and-trade program that allowed polluters to buy pollution credits and emit mercury without pollution controls. CAMR resulted in regional mercury “hot spots,” and recent studies have linked coal-fired power plants to mercury hot spots in the Adirondacks and Catskills. The appeals court ruled that CAMR conflicted with the clear language of the federal Clean Air Act, which requires each power plant to install the best pollution-control technology available to reduce mercury emissions. 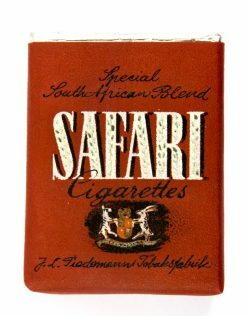 The lawsuit was brought by a coalition of national health and environmental organizations. 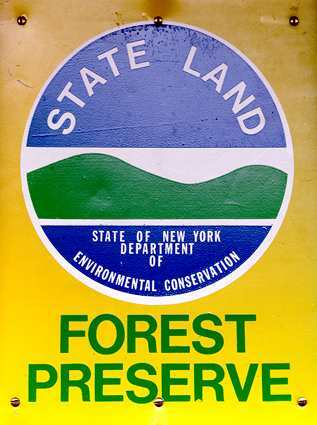 ADK was the only New York environmental group to participate in the lawsuit. Because of high mercury levels in fish from a number of reservoirs in the Catskills, state health officials have warned that infants, children under 15 and women of childbearing age should not eat any fish from these reservoirs. Mercury is also present in two-thirds of Adirondack loons at levels that negatively impact their reproductive capacity, posing a significant risk to their survival. Tampa, FL – The Wild Center’s pioneering renewable energy heating system was named Bioenergy Project of the Year for Excellence in Renewable Energy at the Renewable Energy World Conference and Expo yesterday in Tampa, Florida. The Center took first place in the Bioenergy category for its system that combines a solar hot water system with a highly-efficient wood pellet boiler. Of the hundreds of national finalists selected by the Renewable Energy World Network of Editors, The Center’s system placed first for its achievements. Ratcliffe said the system had attracted a lot of local attention from other organizations with high heating costs. The system will be showcased at the Center’s upcoming Build a Greener Adirondacks Expo scheduled for the end of April. “Our goal is to keep pushing the envelope in a practical way,” said Ratcliffe. “We want to play a part in helping the Adirondack region find a new way to use energy, which will end up helping our economy.” Ratcliffe cited the Center’s 2009 study that showed the region spends $1.5 billion annually in energy. “Anytime we can cut that bill or spend the money locally it means more for the North Country economy,” she said. First announced in July 2009 and commissioned in May 2010, the highly efficient wood pellet boiler is integrated with a solar hot water system that supplies much of the hot water required to heat the 54,000-square-foot facility in Tupper Lake, NY. The new boiler system is the first highly efficient, commercial-sized, gasification wood-pellet boiler of its kind and size manufactured and installed in New York State. Additionally, the solar hot water collection system is the first of its kind used in a commercial application in the Adirondack region. The project was supported by a $350,000 contract award by the New York State Energy Research and Development Authority (NYSERDA). The clean burning and efficient renewable energy heating plant has already resulted in a 45% reduction in The Wild Center’s GHG emissions in 2010, a significant reduction considering only 6 months of operation. Full year operations, beginning in 2011 will lead to even further reductions. 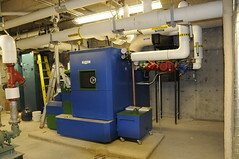 The 1.7 million BTU boiler unit is in The Wild Center’s basement boiler room, next to the Museum’s existing propane boiler. The pellets are stored in an outdoor recycled shipping container next to the Administration wing of the Center. 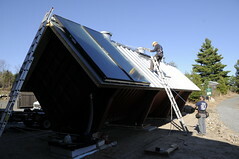 The storage vessel also supports the solar thermal array to preheat water for the system. Pellets are augured through a series of pipes into the basement and directly into the boiler. Hot water from the solar thermal array is piped into the boiler through underground pipes. The wood gasification boiler was fabricated by Advanced Climate Technologies of Schenectady, NY. The solar thermal heating system was designed and installed by E2G Solar and APEX Thermal Services. Similar projects, supported by NYSERDA, are taking place within the Saranac Lake Central School District and North Country School. The project has also won the Best Building Integrated/Innovative category in the 6KC Awards, recognizing the best and brightest solar projects and industry champions in the Empire State, by the New York Solar Energy Industries Association (NYSEIA). Tupper Lake, NY – The greatest change in homes since the invention of the chimney is underway, and for three days some of the biggest and smallest new ideas will be on center stage at The Wild Center’s second Build EXPO. Expert builders, interested home owners and people who want to see the absolute latest green building ideas can gather at the Center’s Build a Greener Adirondacks EXPO. Some of the nation’s leading practitioners will convene in the Adirondacks to demonstrate energy and money saving ideas and products. The EXPO uses ski trail signs to distinguish between its expert and easier days. The three day EXPO starts April 29 with Black Diamond day for experts and builders. Day Two will be Blue Square day for residents who feel like they have a strong idea of Green Building and want to add to their knowledge. On the last day it’s Green day, when the public is invited to have a look at the latest ideas and meet the vendors and presenters. This is a Green Building Training Day. A Fundamentals of Building Green course will be offered to those individuals interested in integrating green practices into the core knowledge of their building business. Once this four hour prerequisite course is successfully completed, participants may opt to take a certificate exam based on the Fundamentals material or select an additional trade specific 6 or 8 hour course offered elsewhere in the state and take a combined Fundamentals/Trade Specific certificate exam. Additional information can be found at www.gpro.org. The course costs $150, which entitles participants to admission on all three days. 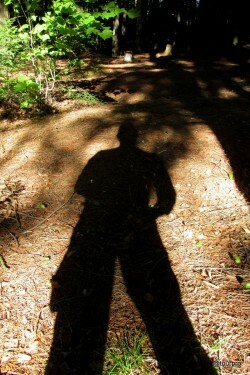 May 1 is The Wild Center’s official reopening day for the 2011 spring visitor season. On this final day the EXPO hall will be open to the public with paid general admission (free for Center members and Season Pass holders) and offer consumers the chance to ask questions and see what kinds of choices they have when they make building or renovation decisions. There will be special speakers and a “The Doctor is In” booth where you can talk about your home’s symptoms and find out if there’s a cure. This day will include a Community Energy Efficiency Forum. People interested in ways to make a greener Adirondack home will have the chance to ask experts on hand here in the Adirondacks thoughout the day.